When we were preparing to leave on this adventure people asked me how we were planning to carry all of the stuff we would need for a year and I said, “A backpack” and they said, “Oh.” Maybe they didn’t care what we were bringing or it was too overwhelming of a question to ask. But if you are planning to ever travel long term or if you are curious about what one packs for a year long trip around the world, here is what is in my back pack. t-shirts (3) – just the cheap $5 Faded Glory Walmart brand tees. tank tops (2) – from Walmart and Old Navy, for sleeping in, wear under stuff, or by themselves if it is blazing hot and culturally appropriate to wear alone. fleece – Alpine Design from Sports Auntority. cardigan – already owned, from Target. 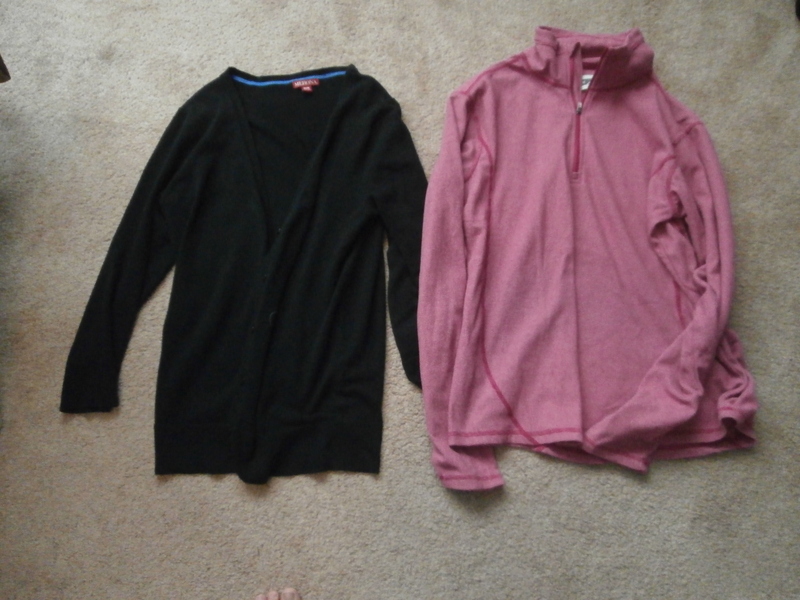 I probably would be just fine with the fleece, but it has already been nice to not have to pull something over my head on planes and buses. And it looks nicer for evenings out. Pants – Tan, capri style. Alpine design from Sports Authority. I like that they are cooler than long pants, but not as casual as shorts. I only wish they had a zipper pocket. 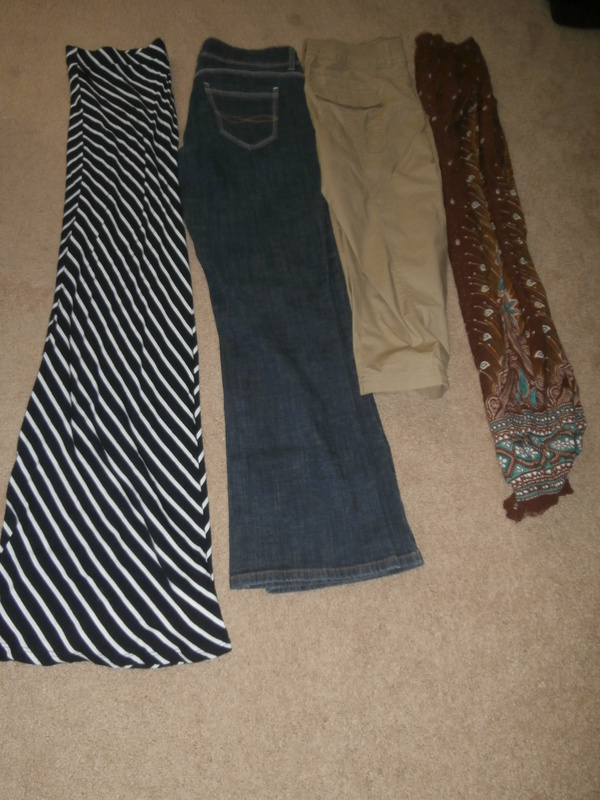 skirt (1-2) – I packed one navy striped maxi skirt that I got from Ross and plan to get as least one more along the way. *The awesome thing about traveling with teenage daughters is that we can share skirts. We each brought one skirt, but we have four skirts that we can alternate wearing. comfy pants – I bought a pair of gypsy pants the last time we were in Thailand. I never wore them at home, but they are great for travel even if I do feel like a dirtbag backpacker in them, but sometimes that is a good thing. Plus, they are comfy. sport shorts – running shorts, whatever you call them, already owned from TJ Maxx. These are great for sleeping in or lounging around the hotel/hostel on hot days. I was seriously tempted to wear them out sightseeing in Melaka where it was 90 degrees, but felt like 110. In some places, it is not culturally appropriate to wear short shorts, but so far in Taipei, Singapore, and Melaka, it seems to be OK. I don’t wear short shorts in regular life, but the heat in Southeast Asia is making me wish I had a non-sports pair. 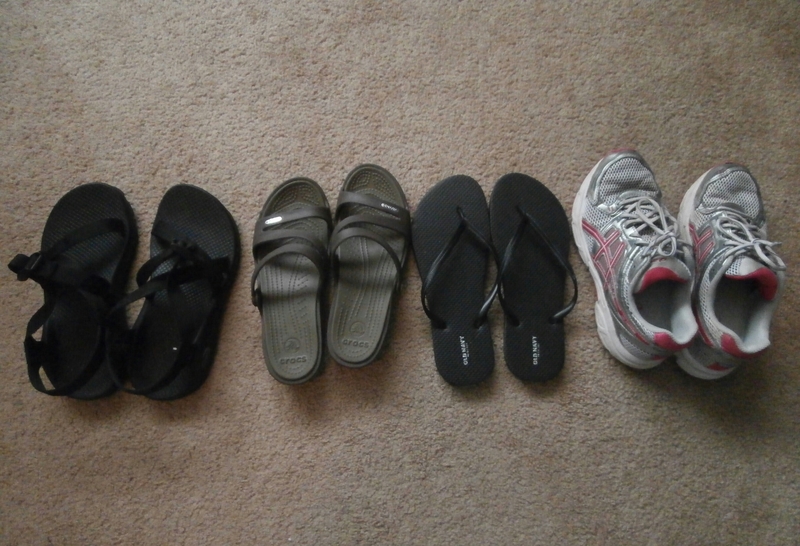 “nice” shoes – again, I spent a long time deciding on what to bring. I ended up choosing a pair of Patricia wedge style crocs for their cushy bottoms and ability to get wet without being ruined. sarong – I didn’t pack one because I plan to buy one along the way. scarf – again, scarves will make great souvenirs, so I didn’t pack any, but have already bought one from a night market and will certainly buy more ‘cause scarves are pretty and fun. belt – I lost my belt in the frenzy of getting ready to leave. Luckily, it was easy to pick up one for cheap at a night market. makeup – Yes, I brought makeup. 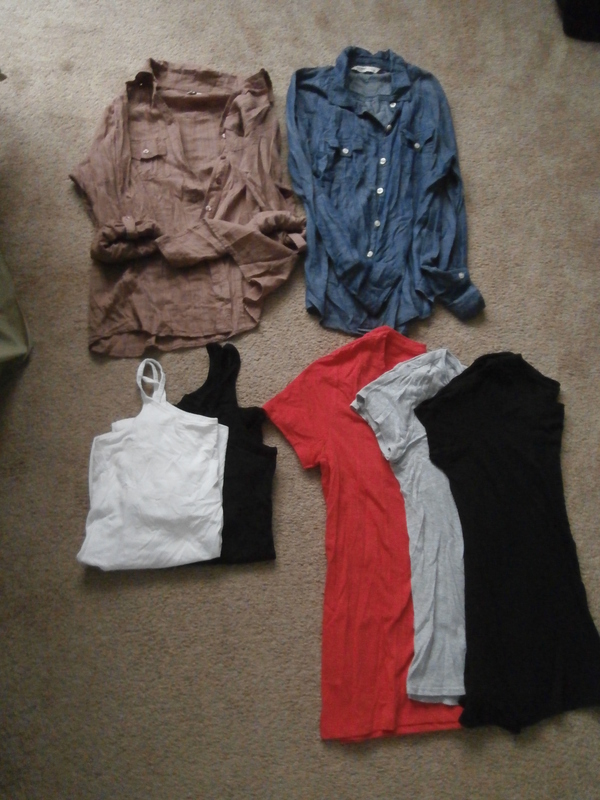 And yes, I wear a minimal amount pretty much everyday. Mascara makes me feel normal. feminine products – I brought a Diva cup upon the recommendation of many female travelers. It has its good and bad points. Maybe some day when I feel like oversharing, I will write a post about it. liner sheets – I planned to buy these in Southeast Asia. They were in every market in Vietnam. So far I haven’t come across any.